Joe is a small business owner of Paoli & Gruters Certified Public Accountants, which operates two CPA offices in Sarasota County. For the last 20 years, Joe has been working at the grassroots level as both a Republican Party activist and leader. He served as Congressman Vern Buchanan’s Campaign Manager and for the last ten years he has been Chairman of the Republican Party of Sarasota County — a post which he has held longer than any other Chairman in Sarasota County’s history. 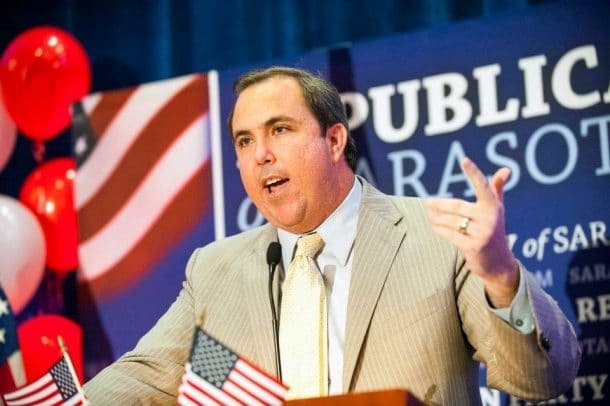 He also has served as Vice Chairman of the Republican Party of Florida, A 2016 Electoral College Member for President Donald J Trump, as President of the Young Republicans and as a volunteer on numerous campaigns. 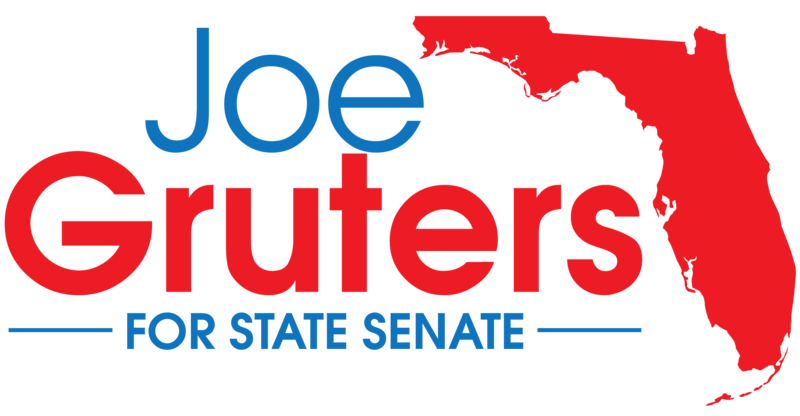 Joe is an active member of the Sarasota County community and local government. He has served as Chairman of the Sarasota County Planning Commission, on the Board of Directors for the Florida Sports Foundation and served as Treasurer for the Sarasota Humane Society and served as a Governor Rick Scott Appointee to the Board of Trustees for Florida State University where he was Chairman of the Finance and Audit Committee and Presidential Compensation Committee. Joe has been nominated by President Trump to serve on the Board of Directors for Amtrak Trains and is currently moving through the confirmation process. Joe currently serves on the University of South Florida Community Leadership Counsel at the Sarasota Campus. Joe worked for Congressman Vern Buchanan in both corporate and political roles on and off for ten years. He began working for Congressman Buchanan in 2000 and served as Campaign Manager for Buchanan’s successful 2008 re-election campaign. Under Joe’s leadership, Buchanan increased his margin of victory from 369 votes in 2006 to more than 66,415 in 2008. Following the 2008 election, Congressional Quarterly reported that Buchanan had the largest increase in victory margin in the entire country in 2006 rematches. Joe is married to Sydney and they have three children – Spencer, Jack and Elizabeth.